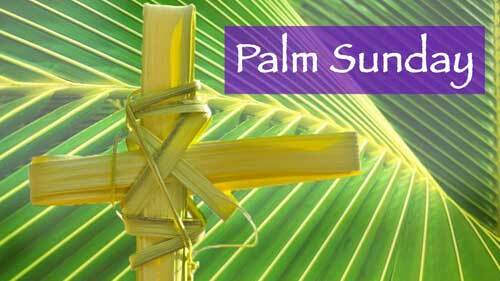 This last Sunday before Easter, we will remember the triumphal entry of Jesus into Jerusalem with a procession in which palm fronds are carried by our children as they sing. In this contemporary service, we will be graced by the singing of both of our children’s choirs. Both of our children’s choirs will be with us singing in this traditional service along with the music of our handbell choir. We join together for a simple communal meal in our Spahr Center and then a worship service filled with special music. There will also be a special foot washing time this evening. We will partake in Communion as we recall God’s great love for us. Signup now, but you are welcome to come even if you don’t sign up. 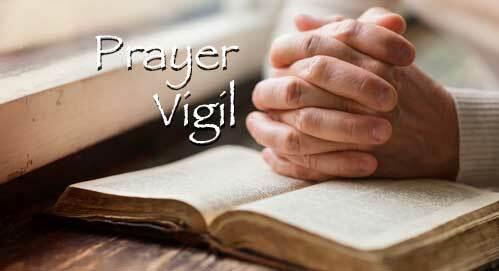 During the Prayer Vigil, FBC will be open all night, we will enter by the Bishop entrance. The vigil will be in the Fireside Room. It will run from 8 pm (after the Maundy Thursday service until 7 pm on Good Friday). 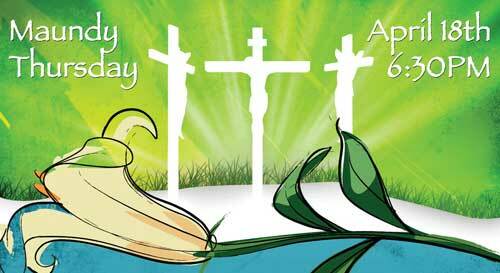 It is meant to be a time of silent or group reflection and prayer on our Lord’s passion and death as we prepare ourselves for Resurrection Sunday. There will be prayer prompts and devotional materials for persons to use if needed. We will have candlelight and music available also. The materials will be in Fireside, but people can also go to the Sanctuary. The sign-up board will be available the next 2 Sundays. People usually sign up individually or as a family for a minimum of 1 hour. We will try to fill all of the one-hour slots during that time. Our hope is that the room will not be empty as we watch and pray as the disciples did with Jesus. If you did not sign up for a time, you are still encouraged to come. There is no requirement that any given slot can contain only one person at a time. Our praise team and band will be providing upbeat contemporary music as we celebrate Easter. We will welcome our pastor back from his time of healing. His sermon will be “The Resurrection of the Shepherd” I Peter 2:21-25. 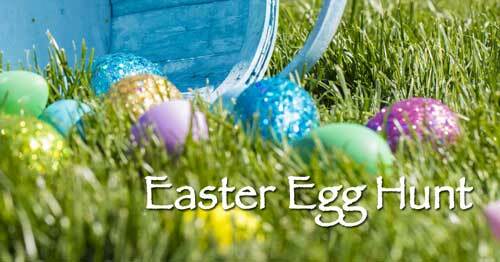 Our Children will have fun hunting Easter eggs during the time between our two worship services. The toddlers will hunt first at 10:20 AM and the Elementary age kids (grades K-5) will start their quest at 10:40 AM. We need parent and youth volunteers to hide Easter eggs, make contact with visitors, and help with crowd control. This Easter Service at 11:00 AM will be blessed with beautiful music from our Chancel choir and organ. 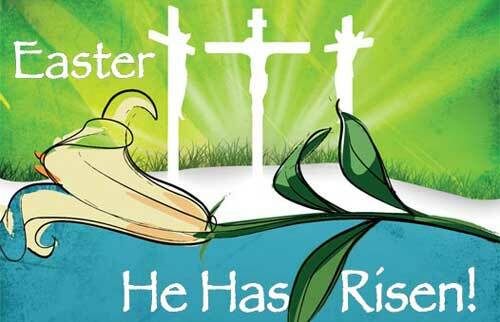 Our Handbell Choir and trumpets will also join us in our special music as we celebrate the resurrection of Christ. We will enjoy Pastor Kregg’s first service back in the pulpit with his sermon “The Resurrection of the Shepherd” I Peter 2:21-25. Get more information or sign up to help through the form below.